We are a leading Manufacturer of belt hook from Coimbatore, India. 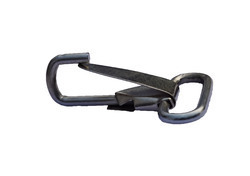 Our company is the leading company known for providing Belt Hook to the clients. This product is manufactured with the help of cutting edge machines and progressive techniques in conformation with industry defined quality norms and parameters. Offered range is quality checked by our experts on numerous quality parameters.